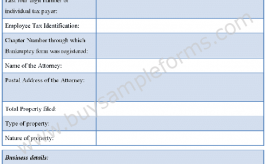 Affidavit forms are a legal document which deals with the subject concerning to the affiant. It is a written note in which an affiant takes swore on a certain issue and a public notary looks after the statement presented in the form. As it is a legal document, it should follow the law of states. Affidavit form deals with many subjects according to the needs of people. To maintain the authenticity of the information, a witness is needed. You can also apply for the affidavit of service where the affiant states the evidence of service in the form, which is authorized by the court official. 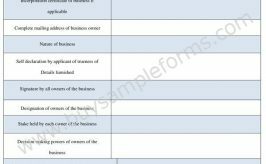 This form contains information regarding the affiant’s name and other personal information. Other than that, it needs affiant’s declaration about the service, for which the form is made. A general affidavit form contains information regarding Affidavit’s full name, age, address, location and other information. You can also find the sales tax affidavit from that deal with the respective area of concern. The other affidavit form includes marriage affidavit form, financial affidavit form and witness affidavit forms.